Pennsylvania's love affair with motorcycles is evident anytime you navigate the Keystone State's many throughways, with riders enjoying our highways and byways during the spring, summer and fall months. When it comes to the number of motorcycles registered by state, Pennsylvania ranks fifth in the country with 396,315 in 2014—behind only California, Florida, Texas, and Ohio. 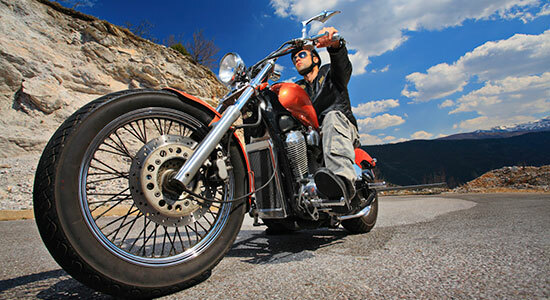 The average age of the American motorcyclist is 48. The average amount of riding experience is 26 years. 95 percent of its members are men. What's the emerging question for the motorcycle industry at large and people like us who have long felt the call of the open road? How do we engage new riders, millennials and women and get them involved in—and excited about—motorcycling? The motorcycle industry has been developing bikes that appeal to millennials who statistically have lower budgets on average—ones that are greener and less pricey. High-profile motorcycle manufacturers including Harley Davidson, Honda, Kawasaki and Suzuki have all introduced models that boast better fuel efficiency and are sold at a lower price point. Making introductory courses affordable and accessible to new and younger riders is a key to enticing them to join the motorcycling community. One way the industry is accomplishing this is through a change to the Motorcycle Safety Foundation's online Basic eCourse. The intensive, three-hour program is designed to give potential riders an introduction to motorcycling and riding safety to determine if riding is a good fit for them. While the course used to be available exclusively on desktop computers, it was recently changed so you can access it on laptops, tablets, and smart phones. Motorcycle manufacturers are devoting more of their marketing efforts to female riders—and for good reason. While the American Motorcyclists Association reports that only 5 percent of its members are women, the Motorcycle Industry Council's statistics state that ladies account for 14 percent of the total number of motorcyclists in the U.S. is female. That means there are now more than 1.2 million women motorcyclists in the United States. Companies are using more women in their advertisements, and some, like Harley Davidson, are engaging women through Garage Party events where participants learn about bikes, gear, and more in a low-pressure environment. Help enlist the next generation of Pennsylvania's motorcyclists. Statistics compiled by CivicScience.com reveal that millennials considering the purchase of a motorcycle are 40 percent more likely to feel more comfortable in a group than by themselves. Knowing this, motorcycle enthusiasts like us should take every opportunity to invite new motorcyclists into our riding groups. At Edgar Snyder & Associates we've been inviting motorcyclists of all ages and experience levels to join Snyder's Riders, our community of motorcyclists dedicated to protecting themselves and their loved ones. Join Snyder's Riders today. Become a member at SnydersRiders.com. And please—encourage your friends and family to sign up as well. Ride safe!